ABSOLUTELY PERFECT PRIVATE COUNTRY SETTING! Situated on 11.4 acres that is fully fenced, this inviting 3 bedroom, 2 bath, one owner ranch is a very rare find indeed! The possibilities for this property are endless, perfect for horses, cattle, etc... 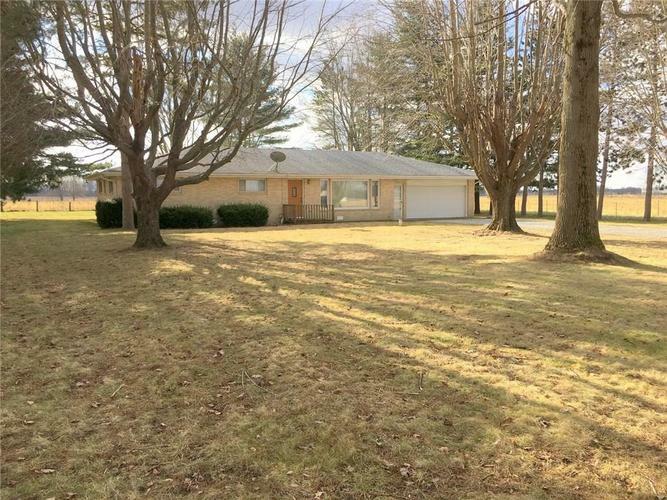 Located in the Pendleton school district, yet only 3 miles to I-69, Meijer, and all of the Anderson Southside amenities. The first thing you notice entering the home is the HUGE Great room, perfect for large gatherings. The kitchen has beautiful Madison County Oak cabinets, and solid surface countertops. Several of the windows and patio door have been replaced with Andersen Windows. The bedrooms feature beautiful hardwood floors. The two car attached garage is oversized for extra storage space. Directions:From SR 236 go East to 300 E, turn right (South) go about 2 miles to 490 S, turn left to address.